Does Chrome OS mark a true paradigm shift in computing? 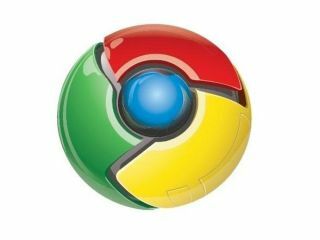 While Google's Chrome operating system is set to initially target web-connected netbooks when it launches next year, web developers are already asking where Google might take its new OS in 2011 and beyond. Google Chrome OS is "less of an operating system, and more of an extension of web applications," according to web developer Marcus Dyson, CEO of eleventeenth. As such, Dyson thinks that the Chrome OS announcement "is interesting rather than exciting…it appears to be aimed at Netbooks, and to leverage Google's network file system. "Of course, with it supporting predominantly web applications, it could disappoint when there is no network connection - but Google's own Gears technology could provide the answer to that." However, Dyson concedes that "on the larger stage, it may be a first salvo in what could be an escalating war with Microsoft - which would finally see Google producing a full, traditional PC operating system." "It's the first step on a very long road to re-educating people to accept a paradigm shift in what Operating System means. But given that most users do not really understand (or care) what an operating system is, this may not be as difficult as many traditional IT experts suspect. "Users are getting hip to mobile devices, as long as it works, they don't care if operating systems are traditional or virtual, if applications are local or cloud-based." In terms of the practical implications for web application developers Dyson believes that Chrome OS will be "a welcome additional platform for our wares, and a potential additional headache when ensuring compatibility."